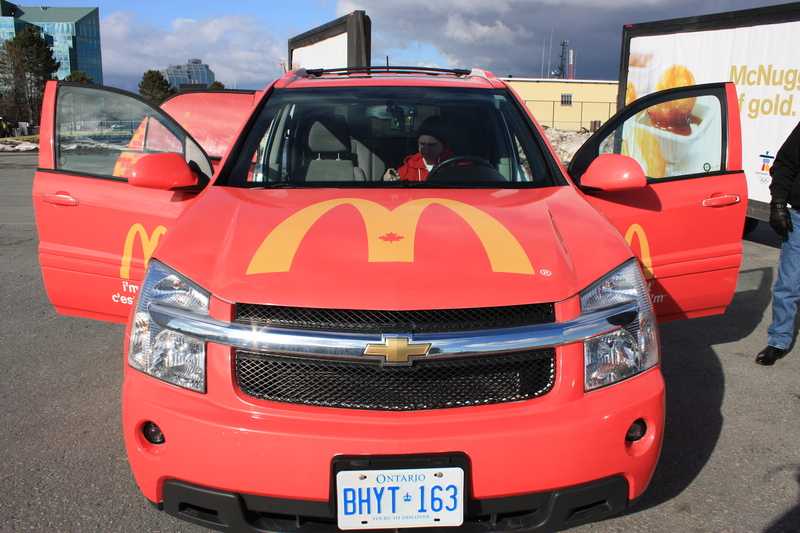 In partnership with OMD, Mango Moose Media has launched a 26-week campaign for McDonald’s. 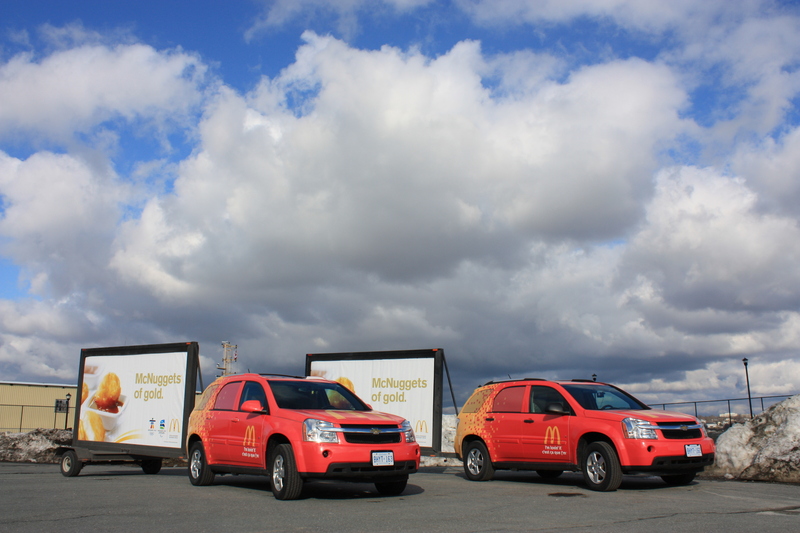 Two media dedicated vehicles have begun a tour around Newfoundland, New Brunswick, Nova Scotia, and Prince Edward Island. 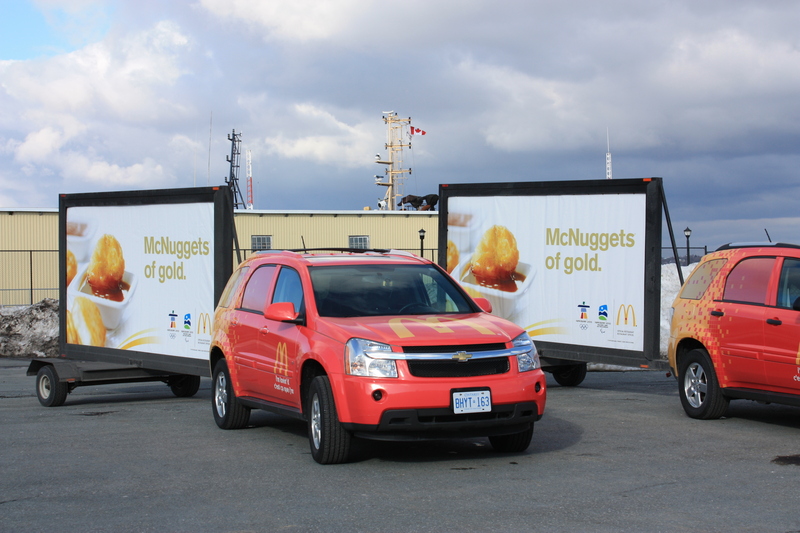 The vehicles can be seen in various towns and festivals across Atlantic Canada. 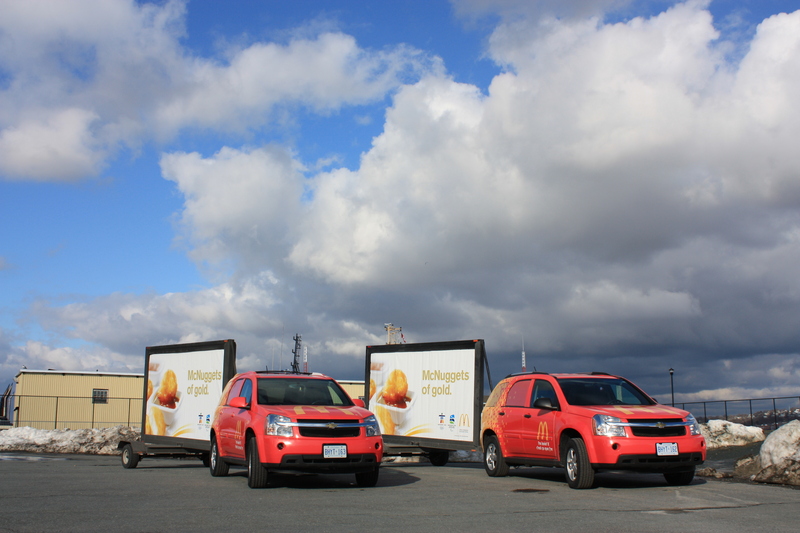 New to Mango Moose Media is the Mobile Billboard. 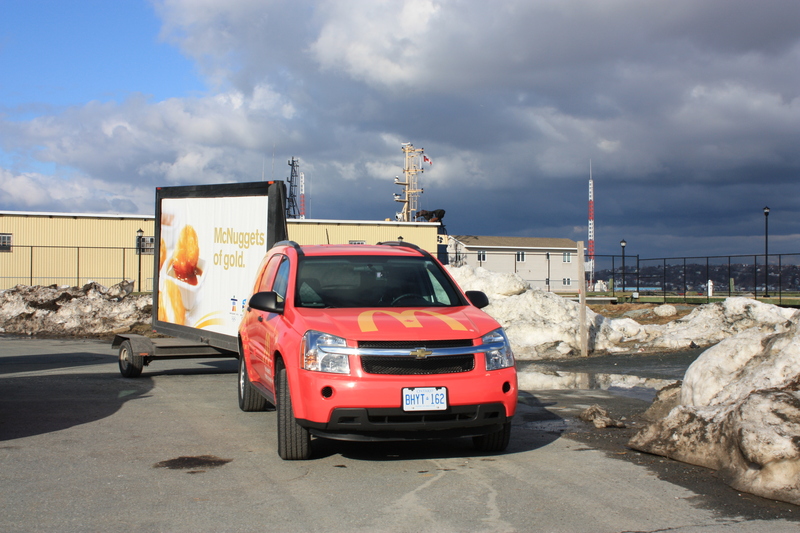 This 10′ x 20′ moving billboard allows you to place your message on both sides of the trailer to increase impressions. This is a great option for when you want to target a certain area with your message. Contact us today for our rates. For the past two months this summer Casino Rama ran a campaign encouraging you to vote “yes” or “no” to excitement. 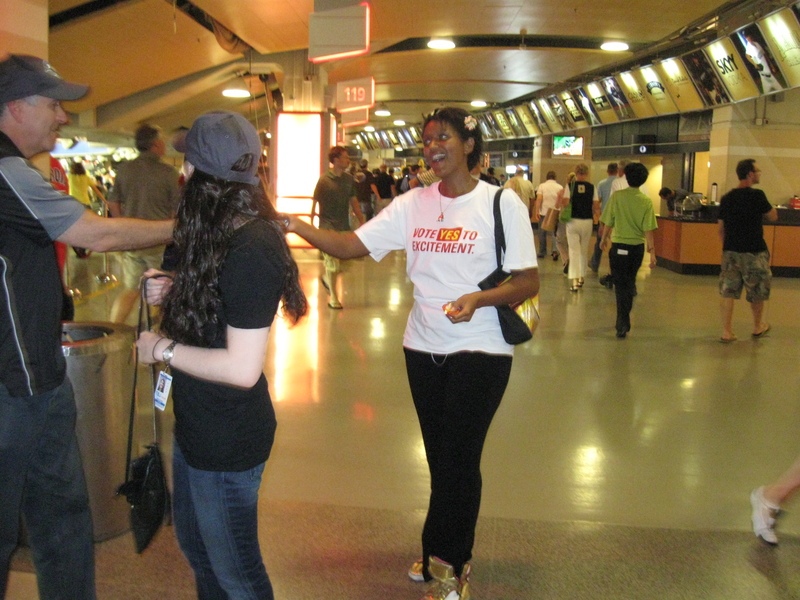 The campaign included TV, radio, and one fun and entertaining guerrilla component. 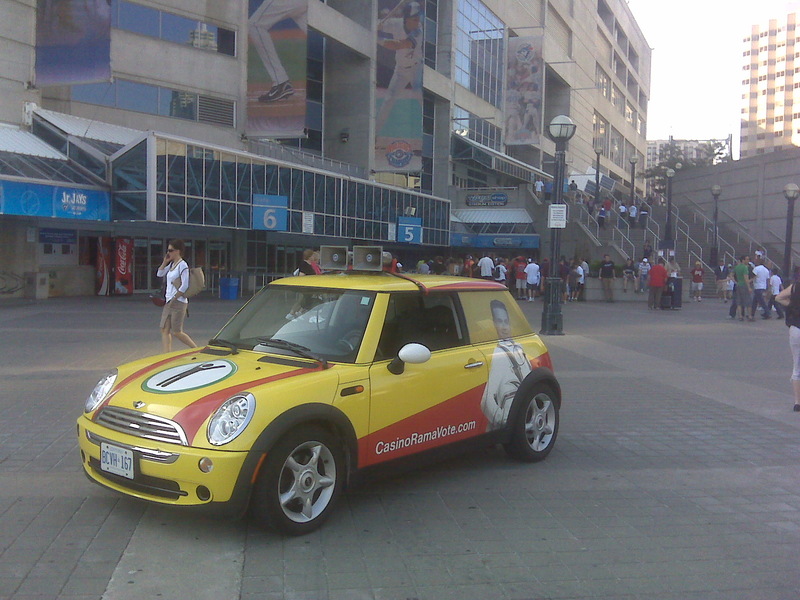 For 8 weeks over the summer two wrapped Mini Coopers drove around select events and locations to promote the campaign. 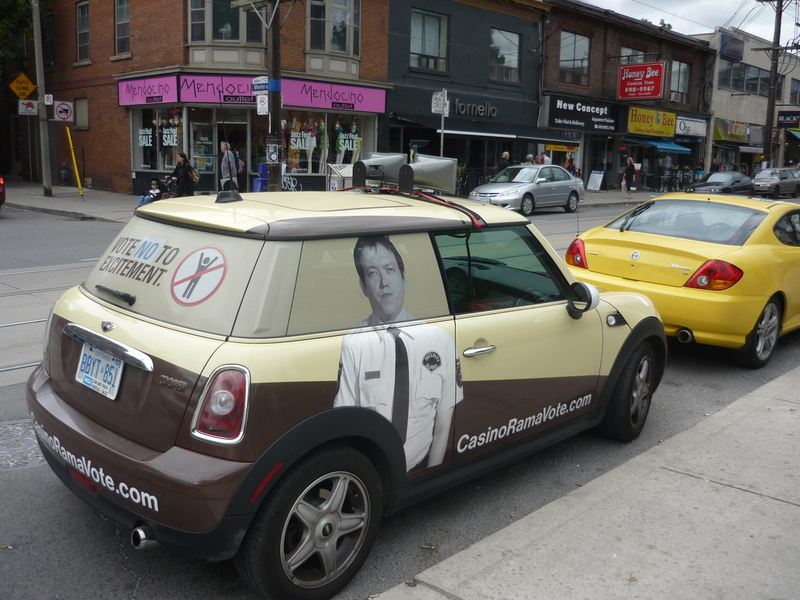 Each Mini was equipped with a megaphone that encouraged passersby to vote “Yes” or “No” to excitement. 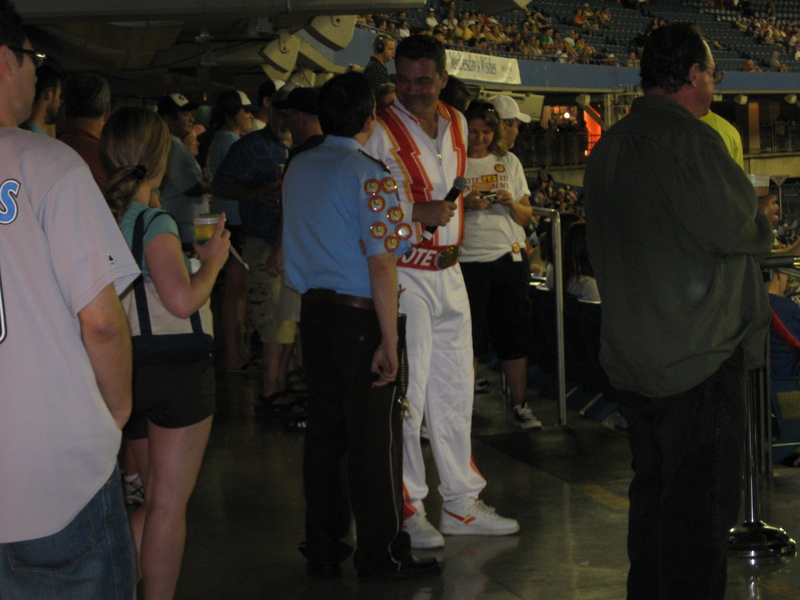 To accompany the guerrilla campaign there was also a one day street team component during a Blue Jays game. 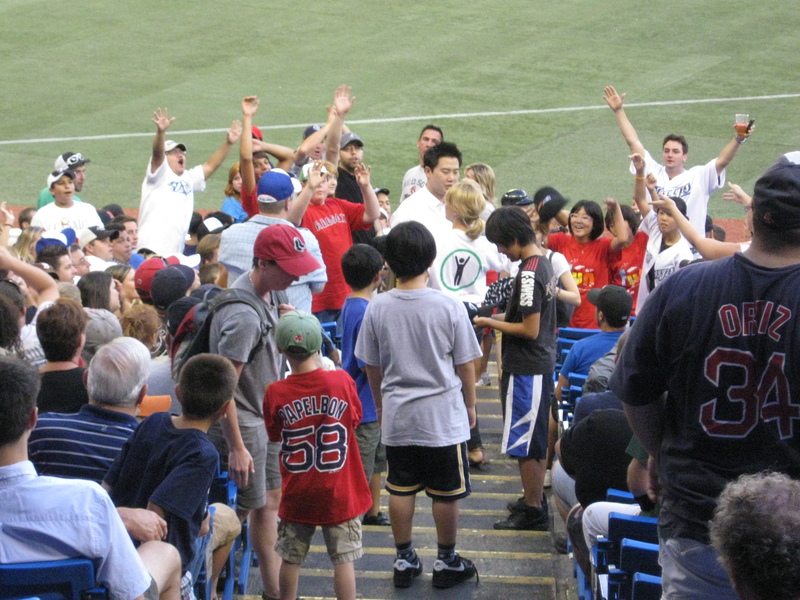 A total of 13 street team reps along with the “Yes” and “No” guys took over the Rogers Centre. 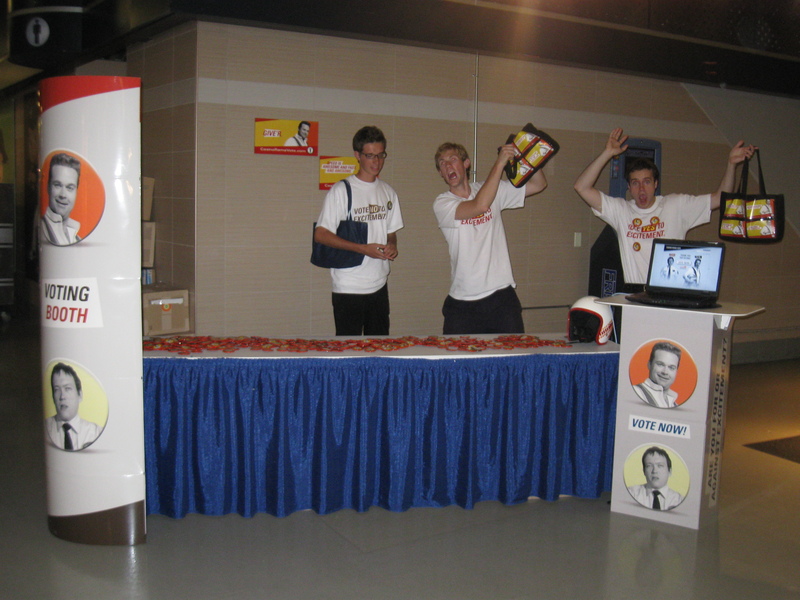 With “Yes” and “No” buttons in hand, they encouraged fans to vote for excitement at one of the nearby booths. The end result? You voted “yes” to excitement! Check out the video here. DNA Condominiums and Mango Moose Media got trendy with a team of 4 fashionable reps who drove around the city in 2 wrapped Hummers. The girls stopped at specific locations to talk to consumers in the downtown core about the new condos in the King West Village which feature a designer flare! Mango Moose Media wrapped a Mini Cooper for The Festival Express Movie which circled the city for 8 hours a day promoting the movie which features lost footage of Janis Joplin, The Grateful Dead and The Band on a five day express our.